State Duma deputy Mikhail Grishankov thinks the situation with Viktor Bout’s extradition is an attempt to launch a media campaign against Russia, re-establish its image as that of an enemy and disrupt its military contracts. Russian citizen Viktor Bout has been extradited to the United States notwithstanding the decision of two Thai courts. He is being kept in solitary confinement and has a court-appointed attorney. Despite an extensive anti-Russian campaign, Mikhail Grishankov thinks the most important thing today is for consular officers to do their job and for the Russian side to get access to incriminating evidence. He is convinced that the extradition itself and the media circus related to it were organized by certain forces in the US, which don’t want to “reset” relations with Russia. Mikhail Grishankov has been a State Duma deputy since 1999. He is a member of the ruling United Russia party and first deputy chairman of the Duma’s security committee. Before he entered big-time politics, Mikhail Grishankov was a KGB colonel. RT: What do State Duma deputies think about the extradition of Viktor Bout to the United States? Mikhail Grishankov: Practically all deputies had the same reaction: what we see in Thailand is not the rule of law. It’s the rule of America’s political will. That Russian citizen Viktor Bout was extradited against the law is obvious. There are various points of view, with some even suggesting that Russia should break diplomatic ties with Thailand. That, of course, would be an extreme measure, yet Russian competent agencies and the Foreign Ministry must do all they can to protect the Russian citizen, which is what they are doing. RT: Do you think Russia may take some measures with respect to the United States? MG: I have no doubt that this situation will be discussed at a rather high level. I can’t say exactly what level that will be. But it is obvious that the United States exerted serious political pressure in procedural matters. So everybody in Russia and in the whole world immediately has this question: does America have the right to do it? That’s a double-standard policy. If you like to talk about democracy and demand that others abide by the law, you should act accordingly yourself. In this situation, the interests of some US security services prevailed over law in Thailand. So I think this issue will be discussed. But I don’t agree with those experts who think the relationship between Russia and the United States is deteriorating. I don’t think the relationship will get worse because what we have on the agenda today is resetting relations. This involves so much that we are interested in having normal dialogue. As for the situation with Bout, it is a controversial issue, it will be discussed, and some sort of a solution will be found. RT: Do you know that Viktor Bout was extradited based on a decision by the Thai parliament, notwithstanding the rulings of two courts? MG: The information we have is what was reported by the media. Those reports, indeed, are discouraging. Courts refused to extradite Bout, and then a political decision was made. But we have to realize that Bout was in a foreign country, and I am not 100 per cent sure about legal subtleties there. Still, it is obvious that this was a political decision, not a procedural one. This decision is based on politics, not law. 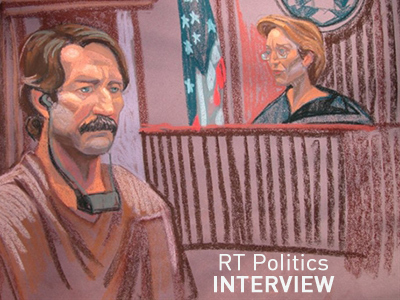 RT: Does the situation with Viktor Bout set a precedent? MG: I don’t remember a Russian citizen extradited like this from one country to a third country. Of course, all kinds of situations happen and Russian citizens do all sorts of things, but there has never been a situation when a country insisted on extradition so strongly and used such an extensive media campaign. The fact that Bout’s extradition was accompanied by such an extensive and well-organized campaign in the media may indicate that this campaign was more important than Bout himself. In this situation, we need to draw some conclusions. We need to realize how Russia should act in such situations. RT: What do you call an extensive media campaign? MG: All the events were widely covered by the media, both in America and throughout the world. I think this media campaign in itself was a serious part of this extradition. At this point, it is not clear what decisions the US may make. I expect that political pressure won’t play such a big role there. But we saw what was happening in Thailand: information was supplied both through official and unofficial channels. This indicates that this situation involved information warfare. RT: The media also described how the provocation against Bout was orchestrated. American agents supposedly came to him posing as representatives of guerrillas, provoked him into making some comments, recorded their conversation — and this provocation became the foundation for his arrest, indictment and extradition. Furthermore, the journalist claims that he received those documents in the US court. In your opinion, does this square with the rule of law and democracy? MG: Judging by the information available to us, this was purely a provocation by security services. But we need to consider all the fine details and subtle points. Russian laws strictly prohibit such methods. In the US, law enforcement agencies and security services may use provocations for their purposes. But this situation did not take place on US soil, so the legitimacy of those actions is very questionable. The crucial point is that the arrested and extradited person is a Russian citizen who didn’t sell anything to anybody and, in general, did not do anything. All they can charge him with is just some talks. But he may have agreed to those talks in order to hand over those arms dealers to police. It is possible that he intended to have those talks first and then to hand over all that information to law enforcement. But Americans took a different approach. To them, a media scandal and the situation with extradition were more important. RT: What kind of support do you expect Russia to provide to its citizen Viktor Bout, who was illegally transported from one country to another? MG: The foreign minister said in his statement that Russian consular officers must have access to Bout. Russia will also provide legal support. The life of a Russian citizen is at stake. Also, the prestige of our country is at stake. We must abide by the law wherever we are, just like we expect other countries to do the same. RT: Do your colleagues sympathize with Viktor Bout and show solidarity with him? МГ: Of course! Many are expressing their indignation over these events. They are angry not only about what the United States is doing; they are even angrier with Thailand for the way it yields to another country’s pressure. My colleagues are wondering what the purpose of this entire situation is. Of course, not everybody has a clear idea about what Bout was involved in and how it all happened. But this situation received much attention, considering that his answers to all questions were open. Many people realize that this all looks like a well-organized provocation and a well-prepared information war launched against a Russian citizen. RT: What is the purpose of this entire campaign, in your view? MG: We need to look at specific actions. Individual politicians may use all sorts of combinations. They may have different purposes. It’s hard to tell what the ultimate goal is. I can remind you that some time ago Georgian television aired a fake report about Russian troops supposedly invading Georgia. That was absolute nonsense but they used it to scare their own people and demonstrate to somebody in the world that such a thing is possible. In this situation today, one goal is obvious—to discredit Russia’s policy. Another possible goal is to discredit our arms supplies. Viktor Bout is accused of selling arms, even though he says clearly he was involved in the weapon trade. Russia is a major player on this market. We need to see how the events in the US court will unfold. RT: Russia has recently adopted a new diplomatic code which protects Russian citizens throughout the world. Will Viktor Bout be the first person to whom this new code will be applied? MG: He is not only the first case; he is the first public case. There were situations in the past where our competent agencies took steps to protect Russian citizens abroad. But I’d like to point out once again how public this case is. Its high profile was one of the key elements in the aggressive media campaign which some forces in the US initiated. It is important that the Russian authorities really show that they are doing all they can to protect our man. RT: We know that Hollywood even made a film to discredit Viktor Bout. What can we do on our side to counter that? MG: We can counter media pressure with the smart work of our consular officers in the US. In the course of negotiations it is important to make sure that the Russian side has access to all the information that the United States has when it accuses Bout. We must examine what evidence they have for their actions. WemustclarifythesituationwiththeRussiancitizen. RT: We remember that members of the Reagan administration were actively involved in selling arms to countries with which the United States had broken relations. But only a few people spent a couple of years at the most in prison after the Irangate scandal, after which they returned to the circles very close to the administrations of both [President] Bushes. How can the United States imprison a Russian citizen for life without having clear evidence, if it doesn’t prosecute its own citizens for similar things? MG: In defending our citizens, we must proceed, above all, from the law, not from what this or that expert thinks. Everybody should be accountable for their actions. Courts and investigators must provide exhaustive information. What will happen to Bout next? What will happen to his name? What will happen to his image? What will happen to his story? I think Americans will make another movie, which will show “how it all happened.” Everything in the US, including its information policy, is based on extolling their own heroes who supposedly expose international criminals. Our job is to get all the information about our citizen and to examine it very carefully: what he did and whether he had contacts with any of Russian government agencies — in part, so that we can defeat the arguments of the media campaign. For those who arranged this situation with Viktor Bout, their objective was to make Russia once again appear as an enemy. But considering the fact that we are resetting our relations with the United States, I think common sense will prevail.